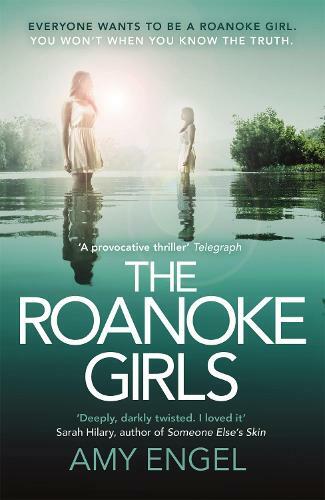 Described by The Washington Post as ‘storytelling at its finest’ Amy Engel’s novel The Roanoke Girls is a complex, power-play thriller flavoured with more than a touch of Southern Gothic. Set between Kansas and Los Angeles it is the story of a family with a dark secret and one woman’s attempts to escape the brutal past that haunts her. Dark, twisting and revelatory, it’s a far cry from the YA fiction where the author cut her teeth. As she makes her first steps into adult fiction, Amy Engel talks to Waterstones about making the transition from YA and the lure of a good story. I’m often asked about making the transition from writing young adult novels to writing for the adult market. Was it difficult? Did it require a whole different type of writing? Did I approach the process from a new angle? Truth is, from a pure writing standpoint—putting words on the page—there’s not actually much difference. I approach every novel I write by thinking about the characters first. For me, character is always king. And that doesn’t change whether I’m writing for a young adult or an adult audience. There are, however, some distinct differences between young adult and adult when it comes to tone and theme. Most young adult novels (but by no means all), have some sort of romance element to them, even if it’s minor. And my young adult novels were no exception. 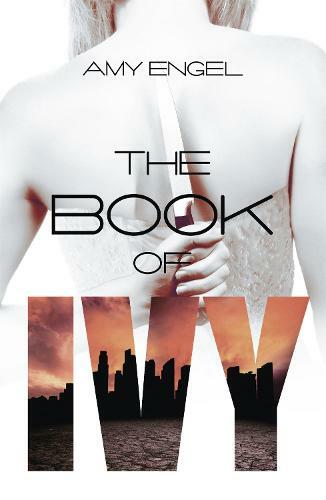 The romantic relationship between my main character, Ivy, and her love interest, Bishop, was central to the story. But because the novels were aimed at a young adult audience, it was very important to me to portray that relationship in a specific way. I have nothing against the “bad boy with a heart of gold” trope that is often used in young adult novels. But I was keenly aware that young girls, many without a lot of romantic experience, would be reading my series. I wanted to give them a different sort of relationship to read about, one where the boy treats the girl with respect and kindness from the beginning. One where the two characters grow together and learn about each other while still maintaining very separate and strong identities. In writing young adult, I felt a certain responsibility to write characters who would inspire readers, who they could look at and think, “Yes, that’s the way it’s supposed to be. I didn’t feel that same sense of responsibility in my adult novel. The main character, Lane, has dysfunctional relationships with almost everyone in her life. And it was amazingly interesting to explore that type of screwed up dynamic in detail. Because I was writing for adults, I felt free to go to much darker places than I ever would have if I’d been writing for a young adult audience. And I felt less pressure to have characters behave in a certain way. I think there can be an expectation in young adult novels that characters will learn and grow and that in the end the villains will be punished for their sins. For me, writing for adults allows for more gray areas in all aspects of the story. Just as in life, sometimes people get away with doing terrible things. Sometimes damage is done that can never be undone. Those are the hard facts of reality and in writing for adults I was able to weave those painful truths into the narrative. At the end of the day, though, what it really comes down to is trying to tell a good story, regardless of the audience. Creating engaging characters, writing clean, crisp dialogue, weaving a whole world onto the page, those are the things I’m always striving to achieve no matter who may be reading the end result. The explosive Richard & Judy book club thriller, perfect for fans of THE GIRLS, GOOD ME BAD ME and Gillian Flynn.